I admire devout Christians living Godly lives. Without the help of the Catholic Church and the Sacraments I’m not sure I would make the cut. In a non-Catholic Christian church I fear I would be crushed by the varying teaching based on who pastors the church you attend, inconstant philosophies that don’t always fit together well, lack of unity of the big items, and regular debates on what as Catholics we’ve put to bed centuries ago. I wouldn’t see myself functioning well in my faith and work life with that undercurrent of unresolved issues and ignored conflicts. I have enough spinning in my head as a mom business owner as it is. The Catholic Church’s clarity simplifies my life and frees me to work on me, my vocation, and my business. 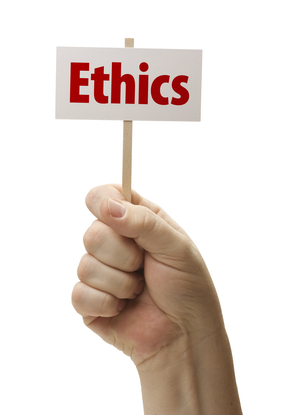 The Catholic Church and business ethics go hand-in-hand. If I have a question about what the Church teaches, I can just look it up in the “Catechism of the Catholic Church” for a well-written, coherent and logical answer. If I want to know what the Pope says or thinks, I can read his encyclical. It’s really not that complicated—just the way I like it. So while many Protestants believe they are “once saved, always saved”, Catholics know better. They realize they better work their butts off or risk being left on the curb even for the last bus ride to purgatory. Catholics know how to work; their eternal life depends on it. And Catholics regularly going to confession understand the insidiousness of their sin and the effects of original sin. Growing in virtue must be in their playbook or they’ll go down with the rest of the world like the citizens during Noah’s time. Catholics are groomed to work – on themselves, in their families, in their communities— as good stewards. And that healthy culture of work translates into giving you an incredible Catholic work ethic as an edge in your business. Catholics work hard. They don’t give up. They are trained to stick things out and work it until the end, just like the Church doesn’t let us easily bail on our marriage when things get tough. You have all of the ingredients you need to have the mom biz of your and God’s dreams. So don’t stay in the back seat of the bus. It’s time to stand up and claim your genius! Catholic Mompreneur Biz and Life Tips: List all how your Catholic work ethic has gotten you where you are and how it can take you to where you want to go.